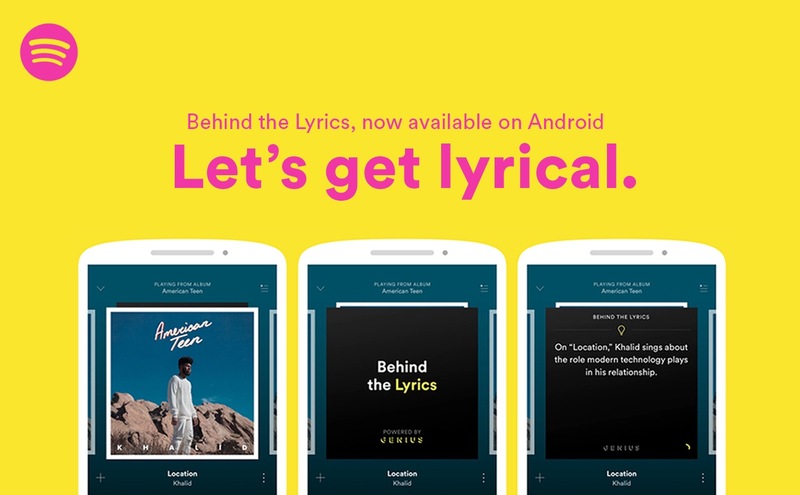 Spotify announced this morning that it is ready to bring its “Behind the Lyrics” feature on over to Android for the first time since introducing it to iOS users over a year ago. The feature is a collaboration with Genius, the former rap lyric site turned musical storyteller, where Spotify hopes to make your listening experience a knowledge hub about your favorite artists. As of now, there are two specific playlists that offer the Behind the Lyrics experience: Behind the Lyrics: Hip Hop and Today’s Top Hits. If you are a Spotify user, give them a look. The update to Android starts rolling out today.